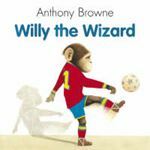 A stunning Willy book with spectacular, surreal paintings - by one of the most acclaimed of all picture book artists. A new edition of the master illustrator's story of a show-off getting his come-uppance. 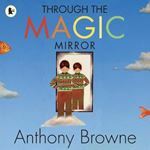 A new edition of master illustrator Anthony Browne's first book, full of visual surprises. Willy the chimp loves football. But he doesn't have any boots, so he's never picked for the team. Then one evening Willy is given a strange pair of old-looking football boots and Willy's luck is about to change.